Home / Is a Heat Pump Just for Heat? Nope. It Can Cool Your Home, Too! The world of HVAC can be confusing—especially for a homeowner. There are different names for different systems and it can often be difficult to understand how each one works. Take the heat pump, for instance. Without knowing much about a heating system, you might think a heat pump’s only function is to keep your home warm. After all, it’s called a “heat” pump, right? But in actuality, a heat pump is a dual system that can cool your home, too! 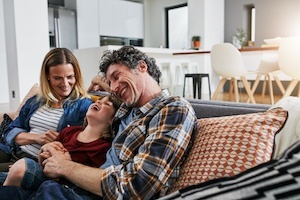 If we just blew your mind, we’ll help bring you up to speed by answering the most common questions we receive at Cool Techs regarding the heat pump. When you’re done reading, you’ll be able to impress your friends with your heat pump knowledge! The heat pump is a highly efficient device that can be used as both a central heating and cooling system. It works by transferring heat from one area to another. In the winter, the pump pulls warmer air in from the outside to heat your home. In the summer, it pushes warm air out so you stay cool. Q: How efficient are heat pumps vs. other heating systems? Very! For moderate climates such as Virginia, the heat pump is an excellent choice. Not only is it very energy efficient, but it’s also one of the most affordable heating systems on the market. In addition, due to its small size, the heat pump saves space inside your home, too. Q: If it cools and heats, why do they call it a heat pump? Excellent question! As we mentioned earlier, it’s because it pumps heat! When the weather is warm, the pump moves heat from the indoors to the outside. During colder weather, it works by pulling warmer air in from outside. So, basically, wherever you need or want the heat to go—that’s where it’s pumped! Q: Are heat pumps as warm as furnaces? Yes, but they do work a little bit differently and may take some adjustment. For instance, a heat pump is better at keeping a constant temperature throughout your home. But in order to do this, you might sometimes notice cooler air being blown into your home (to maintain that even temperature). On the flipside, a furnace has a tendency to blow blasts of warm air to heat your home. Both do a fine job, but, in the end, it often comes down to personal preference. Q: Are heat pumps less efficient than a traditional central air system? Nope. Today’s heat pumps are super efficient and work just as well as any traditional central cooling system. Who Should You Call? Cool Techs! 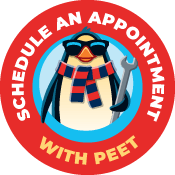 Don’t hesitate to call our experts at Cool Techs if you have questions about replacing your current heating unit with a new heat pump. We are happy to answer your questions and advise you on the right type of system for your home!